Typical wait time is 15 minutes. We are a locally owned and operated business that has been serving Sonoma County for over 10 years. We are committed to providing you with fast, friendly and quality service. We strive to leave the smallest carbon foot print and to give back to the community we are all a part of. If you don't have time to make an appointment, don't worry you can just drop on by at your convenience and you should't have to wait for more than 30 minutes. 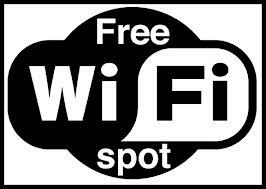 We have comfortable waiting rooms complete with FREE WIFI. Diesel Smog testing began 1-1-2010. 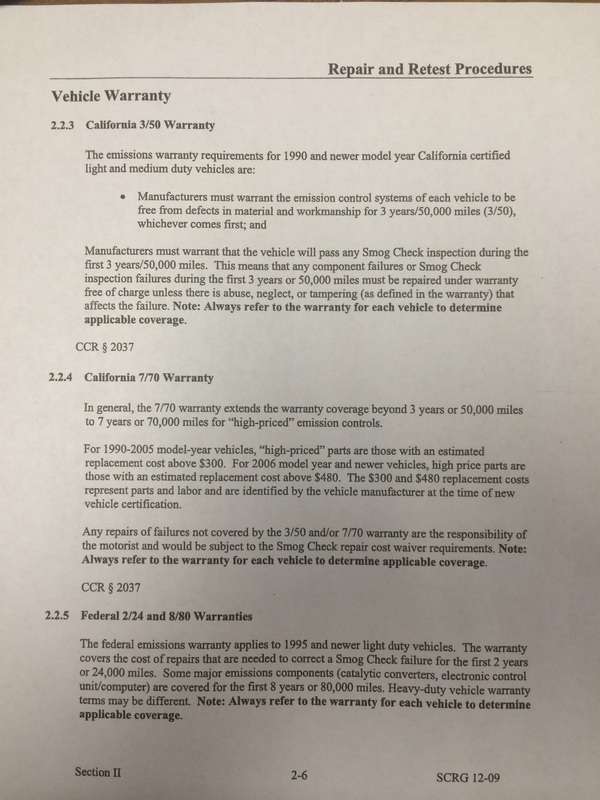 1998 and newer diesel vehicles with a GVWR under 14000 pounds will need a smog inspection certificate for bi-annual DMV registration renewal and transfer of ownership. Please remember to bring in your DMV renewal notice. We are able to perform a smog check or smog inspection on any vehicle for registration renewal, transfer of ownership, or out of state vehicles. We have the latest equipment and technology available to ensure the most accurate results. Our Dynamometers are in ground to ensure the safety of your lowered vehicle. We also accommodate interlock systems and vehicles with all different types of systems to assist in modified steering systems for other needs drivers. Some vehicles require a Smog Check at a STAR station. STAR stations must meet specified performance standards established by the Bureau of Automotive Repair (BAR). 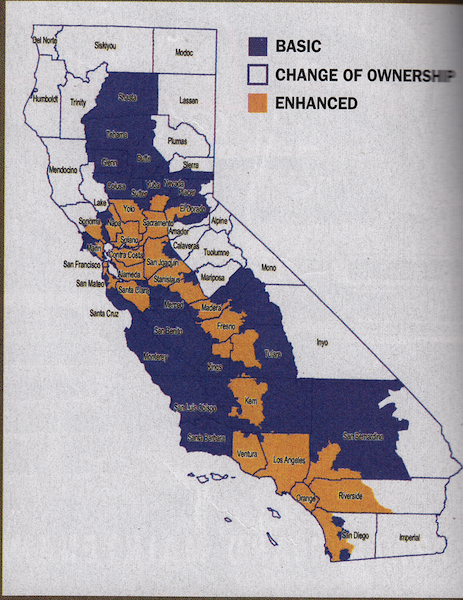 Some STAR stations are licensed to perform only smog tests, while others are licensed to perform both smog tests and repairs. The station is required to post a sign on the services it performs. We have consistently posted the highest STAR scores in Sonoma County. Yes we are a STAR station. No we do not provide any repairs. 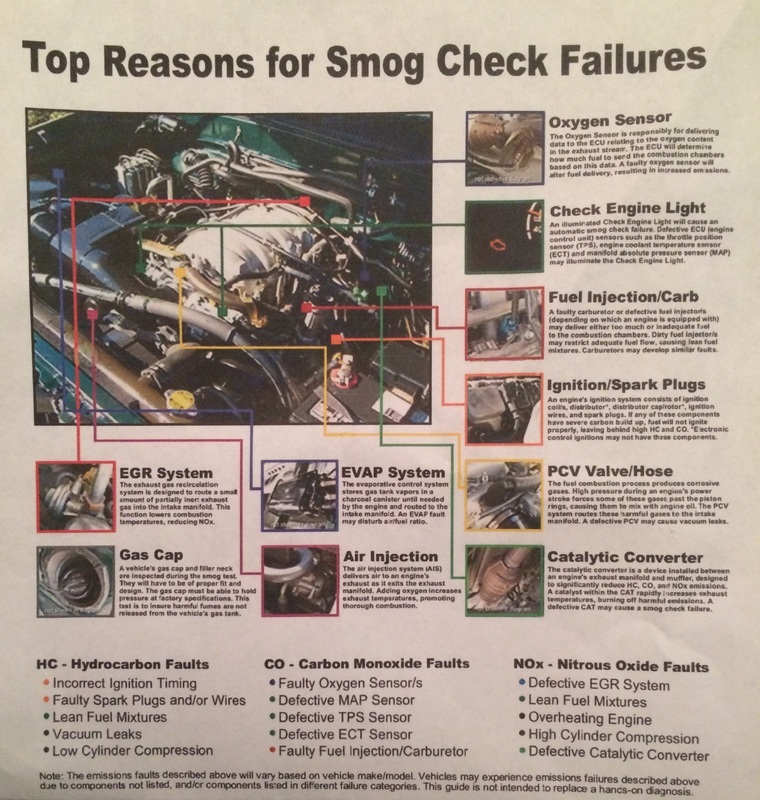 Tips to help your vehicle pass the Smog Inspection. -If your vehicle is 1996 or newer, as long as your check engine light or service engine soon light is not on and the computer in your vehicle is fully online, 99% of these vehicles pass their first smog inspection. -If your vehicle is 1995 or older, please make sure you have gas that is no more than 30 days old. We would also like to recommend that vehicles that rarely see highway speeds should be taken out on the highway to allow any carbon buildup to be expunged. If it is time for your vehicle to have any type of routine maintenance service please have those services done before your smog inspection. -If your vehicle has been modified that modification must be State approved with a C.A.R.B. label on the vehicle with an EO number that we will verify is correct to your application. -If your vehicle requires premium fuel then please use it. If you usually use regular fuel please continue to use that. Using premium fuel in a vehicle that usually uses regular fuel may cause your vehicle to fail. The higher octane fuel contains more hydrocarbons which is one of the toxins we test for from the tailpipe. Please be careful using any fuel additive or oil additive. Ask your regular mechanic for his recommendation to ensure you are using the proper product in its proper application. Having any amount of these additives in the vehicles engine will cause a high risk of failure. Follow the directions given with any additive carefully and completely. Not following the directions can result in catastrophic failure of many sensitive components on any vehicle. Let's give your vehicle it's best chance to pass. Please discuss any concerns you may have regarding the vehicles condition prior to testing. Regular maintenance is what makes the biggest difference between a vehicle passing or failing. Copy right 2012 A Smog Test Only, Inc.
Our most common failure lately with the 2000 and newer vehicles are computer related issues. If your check engine light is on or has recently been cleared or if the power has been disconnected please ask us to check your computer before the inspection to save you time and money. Our biggest headache recently has been the number of vehicles failures because of the AFTERMARKET Catalytic converter approval. What was legal two years ago may no longer be on the State approved list. WARNING to all persons thinking about buying an AFTERMARKET Catalytic convertor. Just because it is legal when you buy it does not mean it will be legal in 2, or 4, or 6 years. CARB is no longer continuing approval for Catalytic converters that only met the minimum standards upon production and do not meet the ever changing standards of today. If you find your self in this mess please file a complaint with BAR and they will likely recommend you to the STATE REFEREE who may be able to offer some help if you have your receipt from when the convertor was changed.